Very nicely SITUATED IN A CUL-DE-SAC is this three bedroom semi detached house, which is situated on the popular HADRIAN LODGE WEST estate. The home has been EXTENDED over the years and offers good sized living accommodation that is being offered for sale with NO ONWARD CHAIN. The property may appeal to a wide range of buyers, including the FIRST TIME BUYER as well as families. There are an excellent range of amenities to be found nearby which include shops, schools, leisure facilities and the nearby RISING SUN COUNTRY PARK. 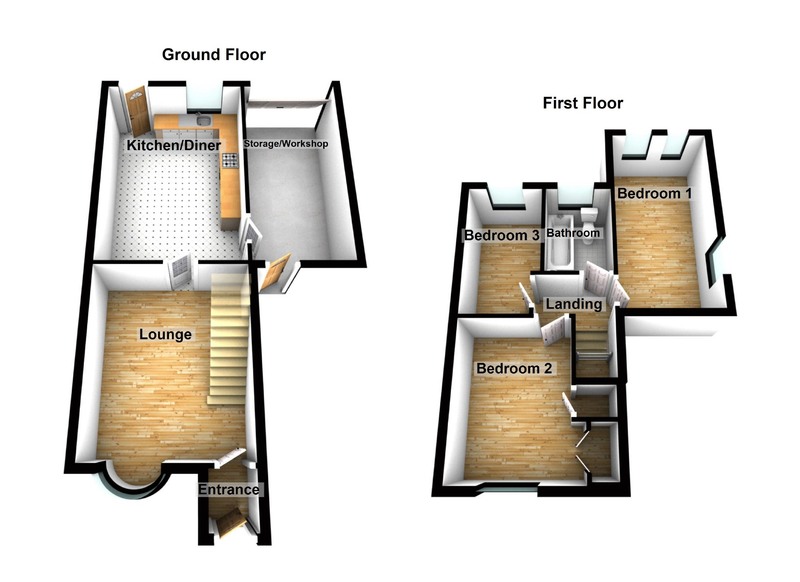 Briefly the accommodation comprises; entrance lobby, lounge, kitchen/diner, three bedrooms and a bathroom. Additionally there is a GARAGE, front garden which has space for ON SITE PARKING and a lovely enclosed garden to the rear. Tenure enquire within. Council Tax Band A. Energy rating D. To arrange a viewing call next2buy on 0191 2953322. Entrance Lobby - Double glazed entrance door, wood effect flooring, glazed door to lounge. Lounge - 4.24 x 3.56 (13'11" x 11'8") - Wood effect flooring, stairs to th first floor landing, radiators, double glazed bow window. Kitchen/Diner - 5.14 x 3.48 max (16'10" x 11'5" max) - Fitted with a range of wall and base units with work surfaces over, single drainer sink unit, space for cooker, double glazed window, wood effect flooring, integral door to the storage area, part tiled walls, radiators, external door to the rear garden. Bedroom 1 - 4.99 x 2.35 (16'4" x 7'9") - Double glazed windows, radiator. Bedroom 2 - 3.50 x 2.57 min (11'6" x 8'5" min) - Double glazed window, storage cupboard, cupboard with hanging rail, double glazed window, radiator. Bedroom 3 - 3.28 x 1.83 (10'9" x 6'0") - Double glazed window, radiator. Bathroom - 2.28 x 1.60 (7'6" x 5'3") - Fitted with a three piece suite comprising; bath with mixer tap ans shower head attachment, low level WC, wash hand basin, tiling to walls and floor, double glazed window, radiator. External - Externally there is a small lawned garden to the front together with driveway parking. There is a lovely enclosed garden to the rear which is mostly laid to lawn together with decking, storage shed and a rear access gate. There is also a garage that has pipework fitted so that a WC could be added if required.